A street brawl involving around 30 youths in Birmingham city centre has left three people with knife injuries and police hunting 22 suspects. The shocking scenes occurred on Birmingham High Street, near a McDonald’s, in broad daylight just before 5.45pm on Tuesday. The area was on lockdown in the evening under “Section 60” powers, meaning police can make more searches, and the brazen violence comes despite extra security in the city due to the Conservative Party conference that was happening nearby. Two men, aged 18 and 19, suffered knife injuries to the arm and leg respectively and a 17-year-old was stabbed in the chest, West Midlands Police revealed in a statement the following day. The men and boy have now been discharged from hospital and officers are searching for 22 people in the area who were identified in CCTV. All are believed to be in their mid or late teens. 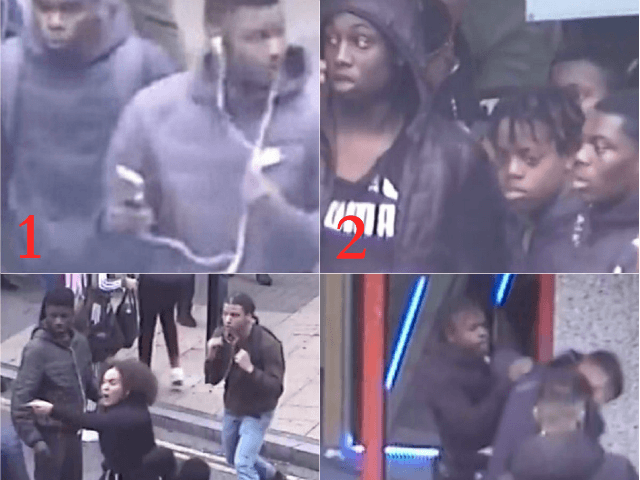 Footage published online shows a mass of people fighting, girls screaming and running, and one man being thrown to the ground after being stabbed. However, kicks and punches continue to rain down and one of the gang appears to be brandishing a machete as he strikes his victim. 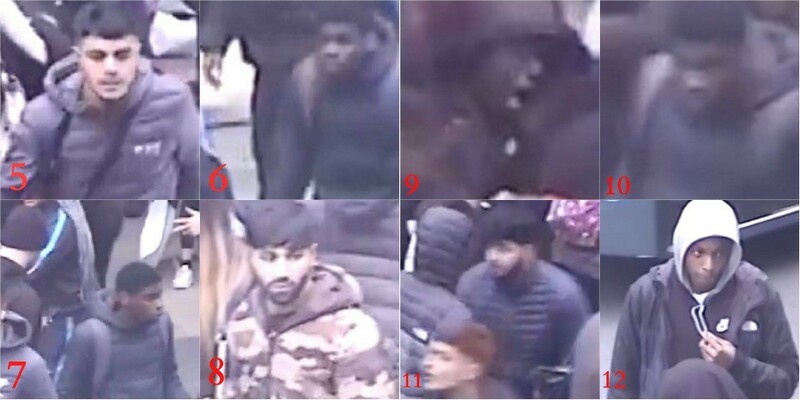 Detective Inspector Greg Evans commented: “What happened was totally unacceptable: a large-scale fight involving upwards of 20 people in the city centre in broad daylight. “We know that at least one offender was armed with a knife and believe that belts and a metal bar were also brandished as weapons. “We have released a batch of CCTV images, some of which clearly show the people we want to speak to. What I’d say to these individuals is that ‘we’ll find you’ so do the right thing and contact us so you can give us your version of events.